When the Ultimate Warrior eliminated Mr. Perfect to become the sole survivor in the opening match of the 1990 Survivor Series, the capacity crowd in Connecticut’s capitol city worked themselves into a seemingly unstoppable frenzy. 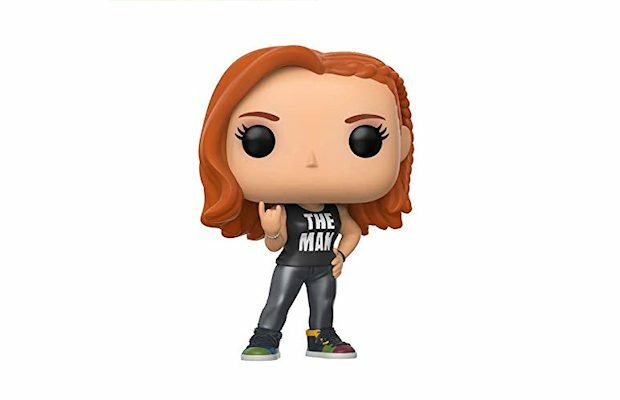 But within minutes of Warrior’s thrilling victory, a sudden and unexpected hush fell over the arena when Ted DiBiase unveiled the final member of his Million Dollar Team. Hailing from Death Valley, the dark and mysterious figure slowly emerged. Fans looked on in awe as the expressionless newcomer, clad in black and grey, sauntered to the ring alongside manager Brother Love. The dark circles under his eyes reinforced his incredibly imposing appearance. Even before he stepped foot in the ring, it was clear he was different from the mortals with which he was about to share the stage. He was unlike anything anybody had ever seen before in the World Wrestling Federation. He was Undertaker. The wake-like silence that overcame the Hartford Civic Center intensified when Undertaker’s eerie funeral procession entrance music finally came to an end. Mouths agape, fans continued to look on in disbelief as members of The Dream Team began to fear the worst. Bret “Hit Man” Hart was the first unlucky soul on Dusty Rhodes’ Dream Team to try to take down “The Deadman,” but when his offense proved futile, he quickly tagged in Jim “The Anvil” Neidhart. 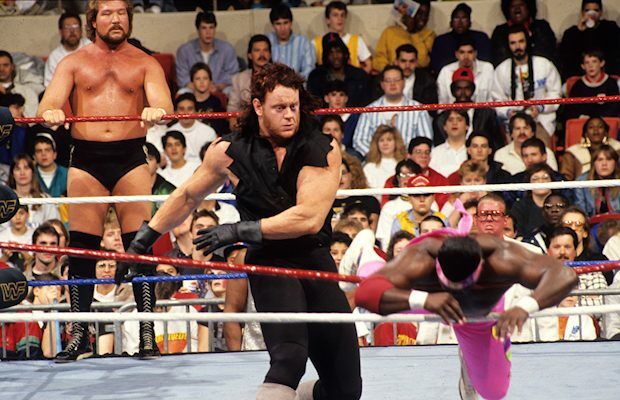 Like Hart, Neidhart was inflicting any pain to Undertaker and within seconds, tagged in Koko B. Ware. Judging from his energy level, “The Birdman” believed he possessed the skill to accomplish what his partners couldn’t. Unfortunately for Koko, however, his high energy failed to equate to anything worthwhile. Within thirty seconds of being in the ring. “The Birdman” found himself on the receiving end of the first-ever Tombstone piledriver. 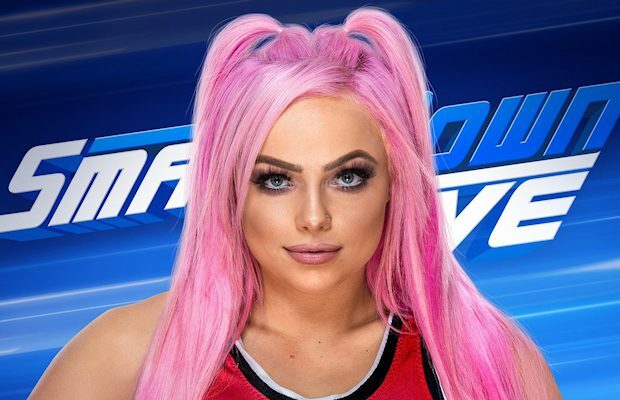 As Undertaker rolled Koko’s nearly lifeless body from the ring, the remaining members of The Dream Team huddled in their corner, wondering if there was any stopping this awesome newcomer. As they soon learned, the only thing standing between them and complete annihilation was The Deadman’s undying loyalty to his manager. After eliminating Rhodes from the match, thanks in large part to a devastating double axe handle from the top rope, Undertaker dismissed “The American Dream” over the top rope and onto the arena floor. Once there, Brother Love began to assault the downed Rhodes with kicks of his own. The weak blows managed to anger “The American Dream” more than anything else, and it wasn’t long before Rhodes was threatening to return the favor. 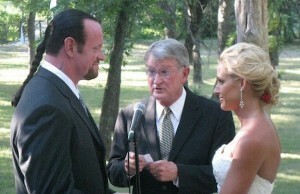 Seeing his manager in peril, Undertaker quickly exited the ring and rushed to Brother Love’s aid. 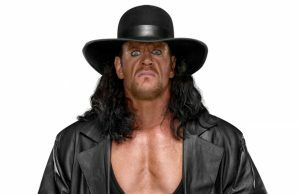 The Deadman’s allegiance saved his manager from certain doom, but in the process also resulted in Undertaker being eliminated from the match via count out. In the end, DiBiase was able to pin Hart to become the match’s sole survivor. In reality, though, the record books only shed a silver of light on what really happened on that Thanksgiving night in 1990. 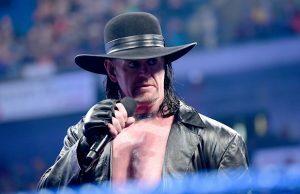 On this evening, the big story coming out of Survivor Series was the introduction of Undertaker, an outworldly force that would go on make life a living hell for WWE Superstars for more than two decades.